Credit Card did not make it home after being stolen by the defendants. “Without her involvement, these crimes would have never happened,” said McCurtain County District Attorney Mark Matloff in a written statement to the court. Drawing to a close is Jaci Rae Jackson’s saga of darkness and cruelty. The former rodeo team member turned perp pleaded guilty in Oklahoma to four felonies in two different cases. 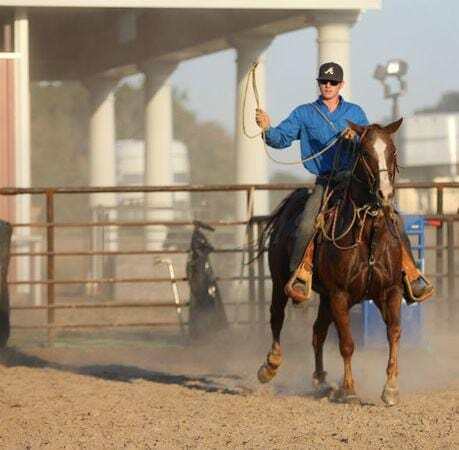 Included was the crime that paralyzed the nation – the Arkansas five rodeo horse theft and brutal, senseless death of the roping horse, Credit Card. Jackson entered a blind plea to felony animal cruelty, knowingly concealing stolen property, and bringing stolen property across state lines. The blind plea is a guilty plea, but Jackson received nothing from the prosecutor’s office in return. She could receive up to 5 years behind bars for each charge and a fine. Jackson’s hand was forced to make the move, according to Matloff. Since day one, he said there would be no plea deal for this group. “The defendant believes a jury would punish her more severely for these crimes than a judge,” said Matloff. Jackson’s mother, Wendi Cox, now a convicted felon, took a spin with an Arkansas jury for her crimes related to the rodeo horse theft. The jury popped her with a 60-year sentence, which she is currently serving at the Wrightsville Women’s Unit. Credit Card’s killer, Billy Hamilton, entered a blind plea for his part in the theft and killing and received 30-years in Arkansas and 20-years in Oklahoma. He admitted shooting the chestnut quarter horse behind his ear, slitting his throat, and cutting him into three pieces so the horse could be moved more easily. Jackson also pleaded guilty to arson in an unrelated case. In August 2010, Cox’s home caught fire. Authorities determined the cause to be arson. According to court documents, Cox told a woman that “she could not pay for the house and it needed to burn.” Cox is also charged. A call to Jackson’s attorney, Richard Stout, was not returned. Jackson could serve up to 25 years in prison and pay a fine of up to $20,000 for the arson. Jackson is scheduled for sentencing on September 9 in both cases. If she receives time behind bars, she will be remanded into custody immediately, according to Matloff.